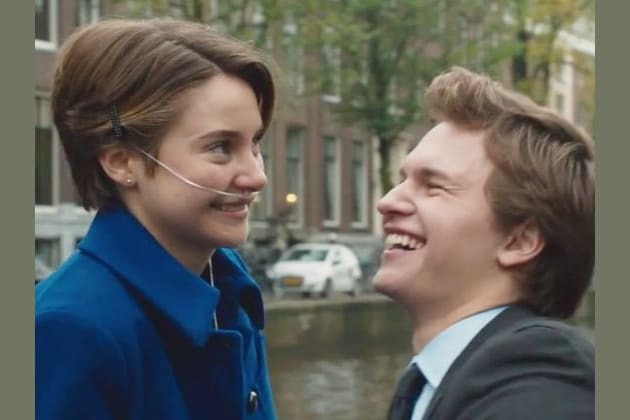 Which John Green Novel Leading Lady Are You? What character trait is totally you? What do you want to accomplish in 2015? Which of these bands is your fave? What do you do after you get home from school? You are most like Hazel from The Fault in Our Stars. Like Hazel, you tend to keep to yourself because you don't want to hurt anyone. You care deeply about the people around you, and even if you're reluctant to fall for people, you can fall, hard. Plus, your obsession with America's Next Top Model is totally admirable. You're most like Margo from Paper Towns. People find you extremely mysterious. You yearn to explore the world and take in all life has to offer, and with your courage and determination, you'll probably do it. Like Margo, you just want to be spectacular. You're totally Alaska from Looking For Alaska. Like Alaska, you're a complicated creature. You are a bit of a rebel and have a tendency to get in trouble, but most of all you just want to make people happy. Though you may be unpredictable, we can predict that you'll always be striving for greatness. You are Lindsey from An Abundance of Katherines. You're incredibly intelligent, even if you may not always show it. Like Lindsey, you've probably struggled with being true to yourself, but eventually you'll come to understand who you really hard. Why hide your fabulous personality? John Green has created some seriously fierce female characters in his novels. Are you the most like Hazel, Lindsey, Alaska or Margo? Take this quiz and see!